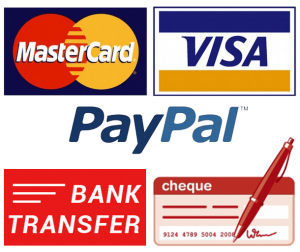 SKU: FNCBC-1DX1. 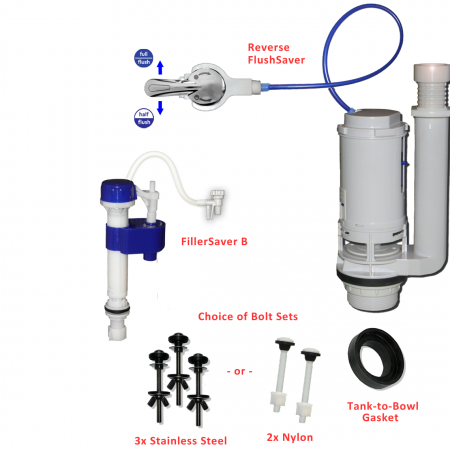 Categories: Brands, Deluxe Kits (Dual FlushSaver + Tank FillerSaver), Dual Flush Toilet Systems (FlushSaver), Featured, KOHLER, Parts & Accessories, Toilet Tank Filler Valves (FillerSaver), TOTO. 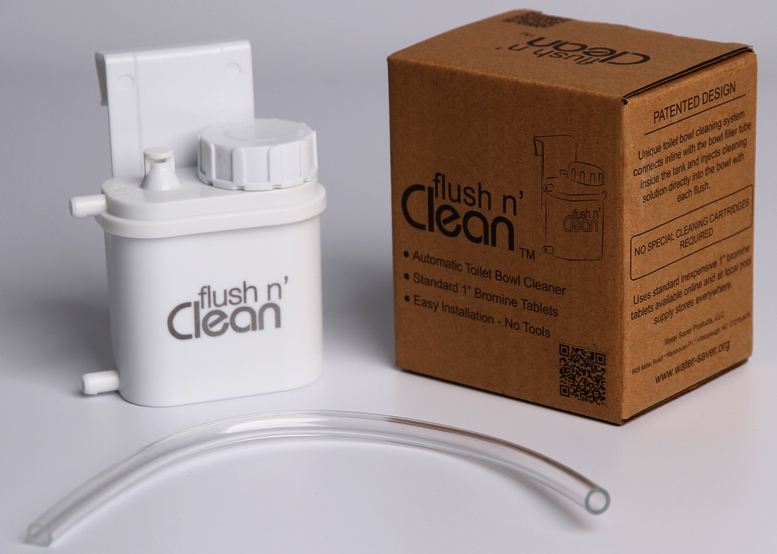 This unique toilet bowl cleaning system connects inline with the bowl filler tube inside the tank and injects cleaning solution directly into the toilet bowl with each flush. 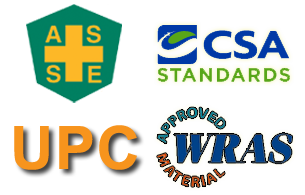 Uses standard 1″ bromine tablets available here, online and at local pool supply stores everywhere. Bromine is an inexpensive, gentle sanitizer that produces very little odor and yet keeps the bowl fresh. 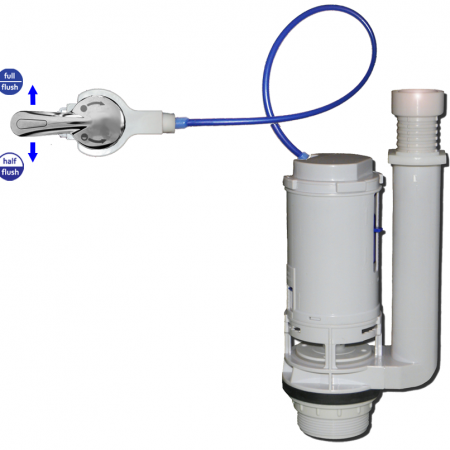 Other in-tank cakes and cleaners simply waste away in the tank and often damage the flush components or seals, leading to premature failure and leaking. Similarly, toilet bowl cakes are unsightly, have a strong scent and dissolve away quickly. 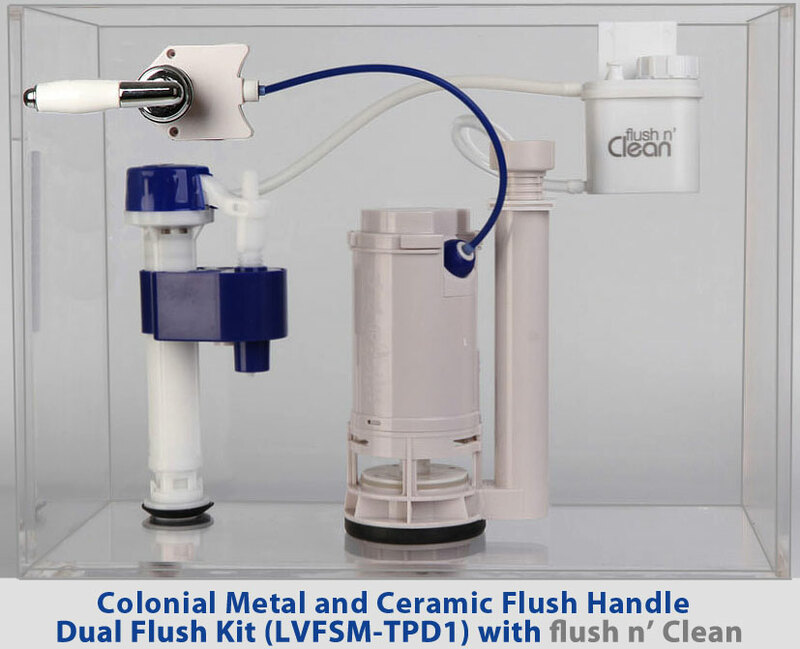 The Flush ‘n Clean system eliminates all of these problems and installs quickly and easily with NO TOOLS REQUIRED. Standard 1″ bromine tablets will last 3 – 6 months depending on toilet usage. Now includes both thicker wall CLEAR tubing and thinner wall WHITE tubing to use as preferred. 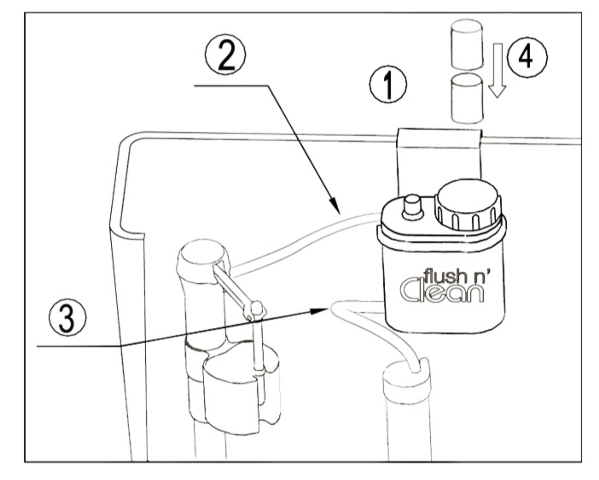 1) Clip the Flush ‘n Clean unit on back lip of tank, approximately in between the filler valve and tank overflow tube. 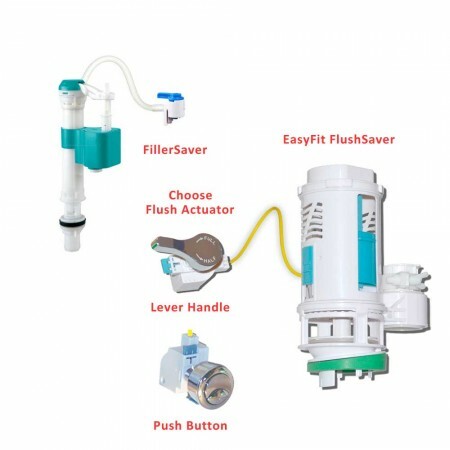 2) Connect tubing from the filler valve outlet to the Flush ‘n Clean inlet (upper). 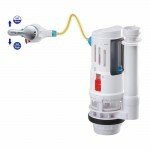 3) Connect tubing from the Flush ‘n Clean outlet (lower) to the bowl overflow. 4) Twist open the cap and place two 1″ bromine tablets inside the chamber. Replace the cap and FINISHED! INTERNATIONAL CUSTOMERS: Please note that we are not able to ship this item with the bromine tablets internationally. 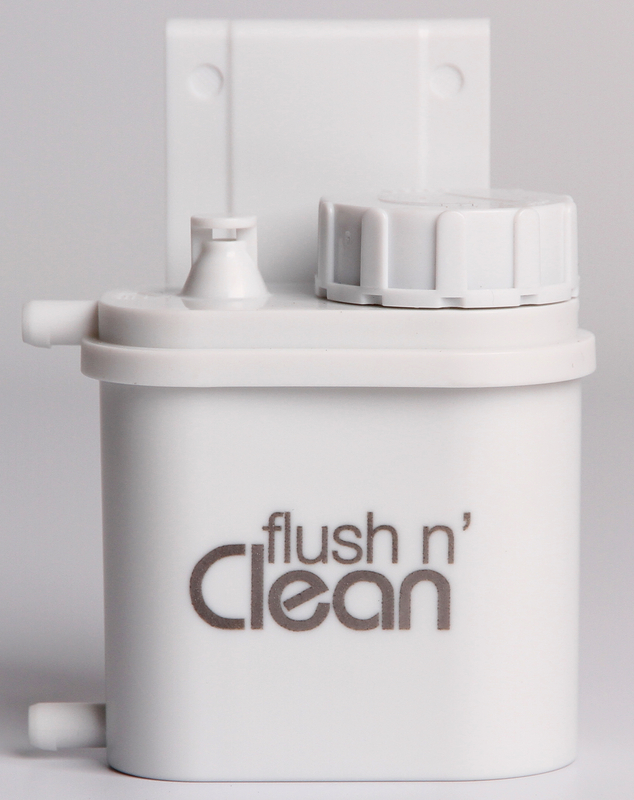 International customers will receive a $1 refund credit for each Flush n’ Clean unit ordered and the units will be shipped without the tablets. Most department stores and pool supply carry bromine tablets as a standard product, so they should not be hard to find locally. 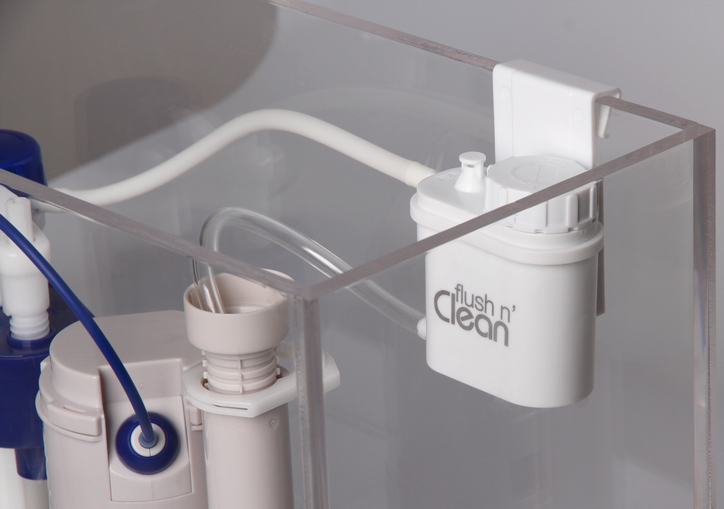 I’m surprised someone didn’t think of this before . . instead of those expensive “mystery blue” cleaner cartridges, this Flush n’ Clean uses cheap and easy to find bromine tables. The bromine is just enough to keep the bowl fresh but doesn’t have any smell and is septic tank safe. That is a big deal for us. Not only does my wife not like that blue chemical smell, but I don’t like having strange chemicals going down the septic. Bromine is just a mild oxidizer and is mostly gone by the time it hits the septic tank. Now I find we still have to give the bowl a good hand cleaning once in a while, but not that often and after that, the Flush n’Clean maintains it for months on a refill. 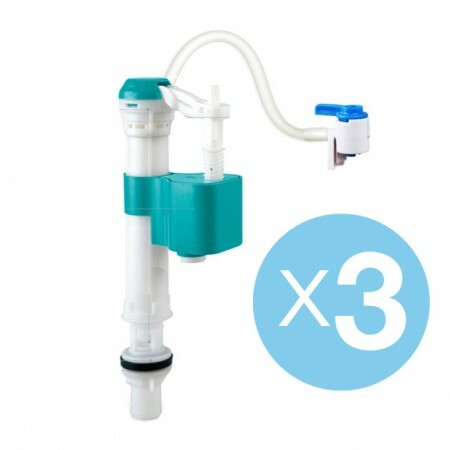 We just bought one at first to try it, but then got another 3 pack for the rest of our toilets, so I recommend you save yourself some money and just get as many as need up front because they do work and are much cheaper than the so called “name brands”. Jason T.